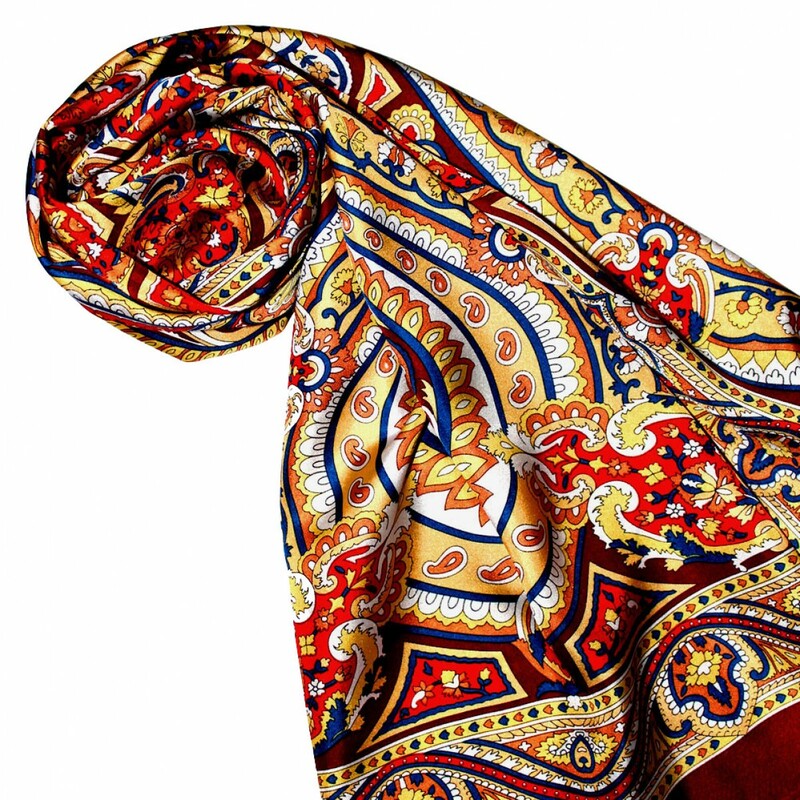 p> This elegant 100% silk scarf fits perfectly with your summer wear. Its extravagance consists of its unsurpassable paisley pattern and clearly defined color scheme. 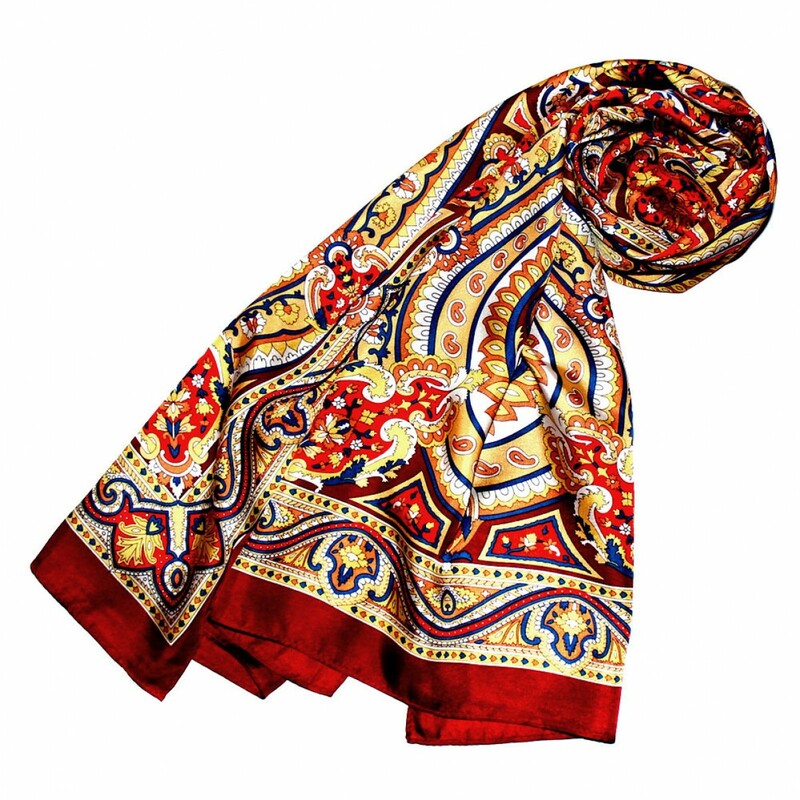 The very sensual silk scarf will enhance and complement your wardrobe perfectly. 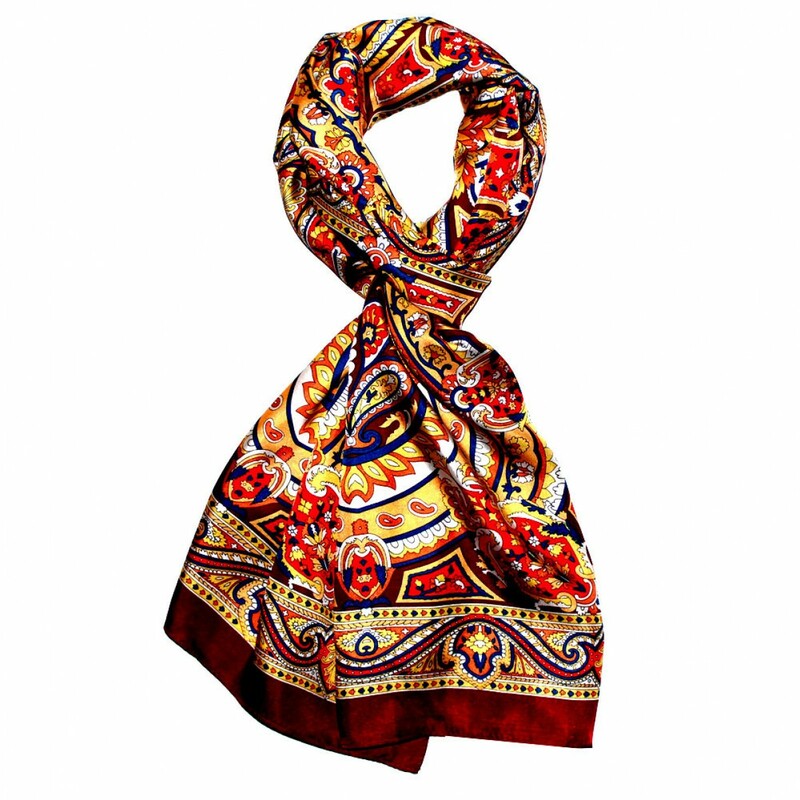 Our charming scarves for men are handmade according to own designs in a small family business. They are made of high-quality natural fibers and are dyed exclusively with health-friendly, azo-free dyes. The highest quality combines with a wonderful wearing comfort. Treat yourself to a piece of luxury and experience the subtle difference with a scarf by LORENZO CANA.